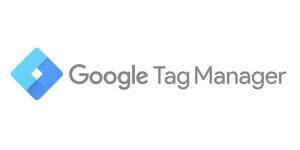 Google Tag Manager (GTM) is a tool that’s freely available used for managing your website tracking tags. These are snippets of code you place on your website to record user interaction (usage data). 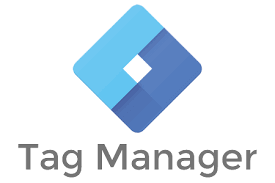 What makes Google Tag Manager so great? You can easily specify which tags should record data on which pages. It comes with a lot of built-in tag templates – Many of the basic tags you’ll need (Google Analytics pageviews and events, AdWords conversion tracking, and so on.) have built-in templates for your convenience. If there isn’t the right template for your application, there is a custom HTML tag type that allows you to add your own tracking code snippet. It has its own built-in debugging mode that let’s you test your tags before you make them live. It allows you to minimise the risk of breaking something on your site and it also minimises the risk of altering your raw analytics data. You can test a tag and, before making it live, see what the data it produces looks like. It comes with it’s own versioning system that allows you to see when changes were made to your tracking tags, and if necessary, roll back to previous versions. Being able to reverse engineer where data came from is an essential step in analysing web analytics data. Once you have migrated all of your tracking tags to GTM there is usually no need to have any other tracking code in the template files of your site. Measurement of digital properties is essential to good digital practice. Therefore, it’s imperative that the foundation of that measurement — your tracking setup — is rock solid. And there may be no other tool that’s as crucial for solidifying that foundation as Google Tag Manager. This entry was posted in Google Tag Manager. Bookmark the permalink.